If there was one thing I knew going into this movie it was that The Mandarin would be played by Sir Ben Kingsley (of A Common Man fame) and he would be awesome. I didn't expect what I got, and I now understand why the Iron Man faithful complained about this movie. The Mandarin was a bit of a disappointment as a villain. That's not to say that the movie was entirely bad. On the contrary, it had mayhem and lasers and people melting stuff. The action sequences were filmed a little fast. The director gave the audience a basic understanding of what was happening, but the people involved would NOT have enough time to react in the way they react - superheroes or not. I had the APA and the Chaser Pale Ale from Blackstone before, and I have found their attempts to be more than a little weak. BUT, I can hope that Nashville has been able to produce a more manly beverage this time. I want something with flavor, but I'm not sure that's really the best wish with a nut brown ale, as the result could very well be an abomination. The very thick head dissipates to a crust of frothy bubbles with special attention to the sides of the glass. The color is a dark reddish brown that might be confused for even a weak porter from a distance. The aroma is all kinds of nutty with some maltiness and even a bit of flowery notes in there with it. This is a movie about horrible corporations and the people that run them. They are featured as the enemy that this lonely group of anarchist freegans is valiantly fighting. The writers allow for a certain amount of moral ambiguity when it comes to some of the decisions that this group makes, but it becomes clear that they all have a personal stake in hurting the corporations, and their personal fight has simply coalesced into this righteous indignation. 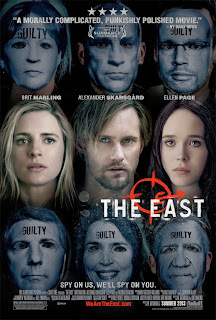 The reason I watched this movie at all is because Alexander Skarsgård was in it. I really liked him as Eric in True Blood, and I hoped he would bring his bravado and swagger to this role. This is a very different character, however, and he is generally shy and withdrawn through the whole movie. He is the leader of this very small... I'm going to go with cult here, but they don't talk much about religion. 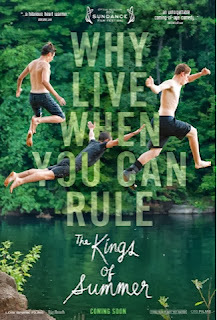 This movie exists only so Will Smith can get his son more acting roles. The fact is, the remake of The Karate Kid wasn't going to help him make a name for himself. He needs a big budget blockbuster that has lots of CGI, aliens, and a bigger name in it that people will pay premium dollars to see - namely, Will Smith. First off, I have no idea what accent Will and his son were going for. Whatever it was supposed to be, it doesn't work at all. I mean, at all. 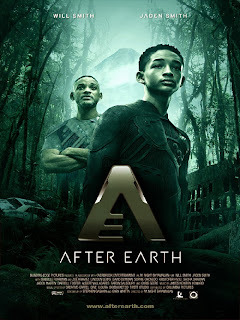 Young Jaden Smith starts this movie off with a voiceover, and that voiceover tells little other than that an accent is being attempted, and it's not going well. When we meet Will's character, it's evident that they're both going for that accent. Jaden's voiceover is the first chance we get to be entertained with the mushmouth that Jaden is sporting. That boy has no idea what the word enunciation means. This is a beverage from my adopted home, Nashville, TN. I've had another Blackstone beer during the very, very early phase of this site, and I fond it to be kind of bland. I was not nearly as verbose in those old reviews, so the most I can say is that it was dull. Not all APAs have to be dull, and some are highly drinkable. She's a hazy, light gold color with a head that dissipates to a thin veneer of bubbles strung across the top. They subsequently grip the sides with an impressive tenacity and then steeple down with the beverage as it recedes. The aroma is appropriately hoppy. I'm getting a hint of citrus, but I can't smell the malt. In an APA, the malt is supposed to be a bit stronger than in an IPA, so that is slightly concerning. I am not a fan of most brown ales, and that would account for my review of Newcastle's last ale at a middling 2.5/5. That makes it dead center - completely average. Fact is, the only reason it got there was because my food came, and I noticed the beer stood up well to the food. So, I grabbed this red ale from Edinburgh in the hopes that they will have a better chance to get all the way over to the positive side of my scale. The beer is a dark red, as its name might imply. The head is big and thick and sticks around; the sides stay caked in the frothy goodness while the top keeps a light coat. Sweet malt can be smelled coming off the top, but it's not particularly pungent. I can smell a bit of nuttiness in there with it. Having Bill Paxton in your movie is a liability. The odds of your Paxton-filled movie being any good is pretty low, but some do come out of the woods. I mean, Tombstone was a moderate storyline that was saddled with Paxton's usual performance, Kurt Russel's performance, and Dana Delaney phoning it in. Were it not for Val Kilmer, that movie would be relegated to the dustbin of time. This movie is about a future world where the snow started falling and never stopped. Surprisingly, it doesn't focus on the environmentalist aspects of this that are just kind of assumed. Instead, the survivors collect into colonies that have to deal with shrinking food supplies, generating power, and ferreting out illness. That is when this particular colony gets a distress call from a neighboring colony. 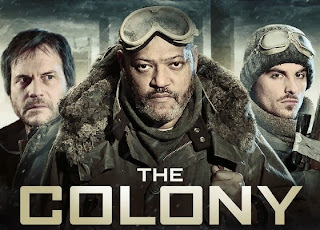 Laurence Fishburne takes a couple of guys with him to solve the problem. They find evil bloodthirsty insane people who try to hunt everyone down. This is a summer seasonal ale. As with other New Belgium beers, this suffers from a pretty terribly designed and executed label. It makes me think of an old picture that you'd see on a grandparent's wall with a yellowing Plexiglas protection in front of it. The beer itself will contain soursop and monkfruit. I have no idea what those two things taste like, but I hope it's good and can compliment the hops that I also hope to find in this bottle. The color is strikingly yellow. It's almost as if they found a light beer and added yellow food coloring to get the right amount of yellow. The head has big bubbles that dissipate to a good covering that is especially heavy at the rim. Steepling happens all around the glass, and it's quite attractive. The aroma is slightly hoppy and fruity. More fruity than anything. I didn't have any expectations for this movie. I forgot what the premise was or why I wanted to see it before I did. Turns out, I just wanted to see Nick Offermen in a movie. This is a coming of age movie for three friends who decide to leave their parents and go to live in the woods in a house that they built for themselves. It's a light-hearted story with some good humor in it. They successfully manage to mitigate the stress and fear that the parents must be feeling throughout this by giving them quirky personalities and other interactions to deal with. The last Sweetwater I tried was back when my reviews were in FaceBook, and I was trying to be succinct. Looking back, that really isn't even going to help me as a reference for the future, but that's what I did, and there's no use crying over spilled beer. Today, we go double-down with an extra pale ale. I love a good ale, so I'm looking forward to this one. The fairly thick head dissipates to a nice platter of bubbles across the top, thickening around the edges. The aroma is all hops - which is nice to smell. The color is relatively clear and a light gold color. What's that? Another Tap Room beverage? The last one wasn't so great, was it? Why torture yourself with it? Fear not, reader, I'm willing to undergo this horrific (or possibly tasty) experience to protect you from bad beers and encourage good ones. 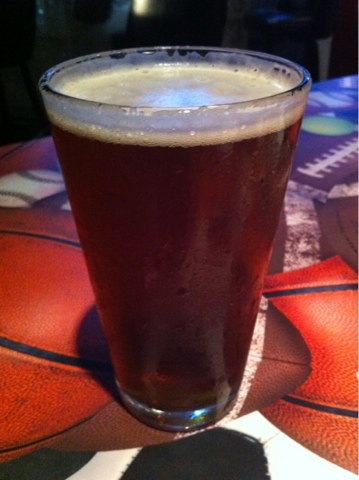 After all, the amber ale was pretty good, and this is a copper lager, so they are similar in color. That's something. Isn't it? ISN'T IT?!? The head dissipates into a mere film of near nothing with a thin ring around the edges. Predictably, the color is a crystal clear copper. The aroma is a puff of malt with a fringe of hops around the edges. I expected something like citrus, but this is more like sweet rolls or bread sitting right near the flower section of the grocery store. The last time I tried this particular beverage, I didn't give it a very good rating, but that was written in the cavalier days of when I did little more than post things to Facebook. Now that I have a relatively respectable blog, I need to write it up correctly. I just had the Amber Ale, and it was actually pretty good, so this one deserves a second pass. The color beverage is clear and fairly dark for a pale ale. It's almost distressingly dark for the beverage type. It's not uncommon for a pale ale to not be pale, but it shouldn't be all that dark. This one has the same reddish hue that the amber ale did, and would probably be indistinguishable from it. The head is a bit more frothy, and it leaves a lot more lacing along the glass as it goes down. The aroma is not strong; it's hoppy and a bit citrus. 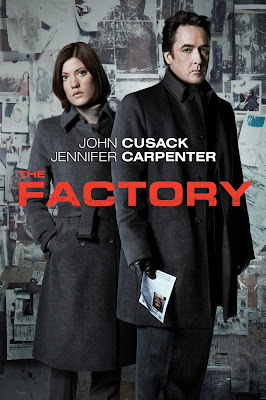 This movie has nothing to do with a factory. I suppose it's supposed to be a kind of metaphor or something, but I had hopes for a factory popping out at some point, and there was none to be had. John Cusack picks some odd ones these days, doesn't he? I'm not sure why he thought this would be a great movie, but I'm still waiting for an explanation as to why The Raven was good enough to be a movie at all. This is a fairly straight-forward police drama about a guy who (for realz) spends too much time at work hunting a bad guy, and his family resents it. Then, in an all-too foreseeable twist, the policeman's daughter gets taken by THE SAME GUY! I like Tina Fey. She's got a certain something about her that makes her seem down to earth while she is simultaneously very pretty and clearly unapproachable. Her wit tends to solidify when she is put in awkward situations, and she has to slide her way out as ham-fistedly as is possible to make it good and funny. This story is about an admissions counselor for Princeton who has become callused about the thoughts and feelings of the students she is rejecting while trying to claw her way up the admissions staff ladder to become dean. The Dean, incidentally, is played by Wallace Shawn, the guy in The Princess Bride who kept saying, "Inconceivable." As part of her attempt to climb to this new position, she does a site visit to a new school run by Paul Rudd. I've had one of these Tap Room No. 21 beers before, and the pale ale at the time was not great. However, I'm not one to dismiss an entire brewery over one beer (as demonstrated by my tolerance of Magic Hat until I'd had enough) so I'll give the amber ale a try. The color is a slight red hew added to a gold. It's typical of the brew, and it's basically a light copper. The head goes away as you'd expect, and a thing ring remains around the top. the aroma is nice. Most amber ales that I've encountered tend to be a bit watery, and the aroma reflects that. This one definitely isn't overpowering, but it has some nice maltiness to it. So, once you find out that your soul is bound for hell as a result of the thousands of terrible, horrible things you've done and there is nothing you can do about it, do you weigh your options? How many warlords do you think would take this as a moment of introspection? Meet Solomon Kane. 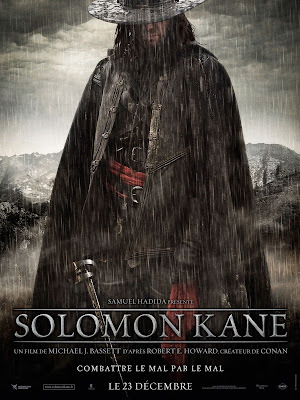 Solomon meets the bad CG messenger of Satan who tells him of his fate and our hero subsequently gives up his marauding life of killing and presumably other horrific deeds to become a wondering loner ala Dr. Banner in the Hulk TV series. To demonstrate his peacefulness, he even refuses a free ride from a friendly family. Predictably, that family befriends him anyway, and he gets the spiffy duds that you see in the poster. So, most of this movie revolves around a Destroyer. I guess "Battleship" sounded more awesomer, but I think "Destroyer" would actually have been a decent name. I suppose that name would have brought about thoughts of a direct-to-DVD JCVD movie, and it's best to avoid those where you can. 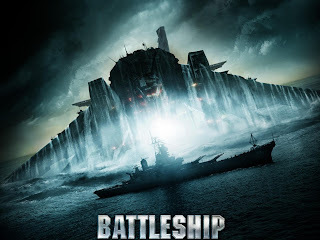 This movie is about an alien invasion that creates a bubble with three naval vessels (two American and one Japanese) and a few nasty aliens inside. The fight lasts an arbitrarily long time, especially since these aliens bear a striking resemblance to Transformers from the movie that... had the same creator. Odd that. There is an error in the title of this article. There HAS to be. 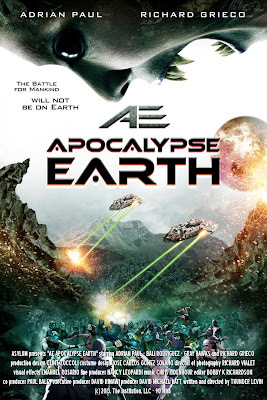 There is no way this was made in 2013 to be a serious film of any kind. I honestly didn't even know that Richard Grieco was still alive, but his acting isn't the worst thing on film here. The special effects were pulled from an 8-year-old who found Photoshop and thought that you could draw something neat, then make it move on film by just dragging the image around. The gun that our hero, the Immortal Highlander, starts with is a blatant fake. It's gun-shaped, if that helps, but we see him manipulating the collapsible stock in a way that demonstrates its Airsoft-quality plastic and inexplicable lightness. We see this when he is forced to stow it while preparing for the long trip back to Earth in hibernation. Don't worry - when the ship crashes, his rifle is laying out in the open, unharmed and loaded for him. I may be in love with a brewery. It started off innocently enough with a simple purchase of a simple IPA, but that absolutely shocked the heck out of me with how good it was. I finished that six pack, and each beer got better than the previous one. Then, I discovered the Pale Ale, and I decided that they can do some great things out there in Petaluma. Now, I have my hands on their Czech style pilsner, and I get to try my third Lagunitas beverage. I have to admit that I am really looking forward to it and I am also really afraid that they're going to let me down. The head is nice and thick, while the beer itself is light. It's a light straw color, and the sticky head dissipates into a ring around the glass with significant steepling down the sides. The aroma is a mixture of citrus and a little hops. This was originally going to be a Smithwicks entry, but the one I got was skunked, so I'll go with what I have. This one comes to me from Mexico. This is a very clear beverage, and it's dark in color for a lager. It's a deep golden color with an aroma that is light, but heavy in malt. It being a lager, I'm only mildly interested in it in the first place, but I figured I would give it a shot. I have had very few beers from our neighbor to the South, and I can't imagine I've tasted a representative sample. First sip is not brilliant. It tastes a bit stale, and the malt itself is not particularly impressive. There is a hint of hops with a bunch of watered down grains in there - something like straw or similar, I guess. It's not great. I'm not looking forward to the big draught at this point, but why not? It's possible this beer has additional names. It was referred to on the menu at this restaurant as the above name, but I suspect it has "Hop Ottin'" or something stupid added to it wherever you may encounter it. I picked it from a list of available beverages on tap at this particular bar, and I hope it was a good choice. I had a lot of other options, including Guinness, and it will be a waste if it isn't great. The head is sticky and thin with a remarkable lack of demarcation between the main head and the sides. Aroma smells of distant hops and some malt. the color is reddish tint - almost copper. First sip is a mild and good bite of hops, but the finish is too harsh. The malts are doing nothing to help out. Right in the middle, the malt should kick in, and it doesn't. It's as if it works to smooth the initial taste and then abandons your tongue right there in the middle. The finish is too harsh for the rest of the taste. They don't wear orange. It may be a simple thing, but it is indicative of the issues with this series. They get basic things wrong. This is the latest in the Netflix foray into creating original programming, and it's better than the worst, but not as good as the best. The best is by far the Kevin Spacey spearheaded House of Cards. The worst one I've seen was Lillyhammer, which was so dull for the first episode that I have no idea what the rest of the series was about. The idea is that a rich white girl goes to prison because of a past indiscretion and has to deal with this life. We get glimpses of her past life and the reasons that the other women are in prison with her. 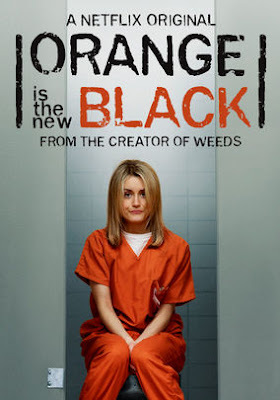 The whole thing comes off as a kind of Grey's Anatomy in prison with even more lesbianism going on. This is an odd movie. I think I mean that in a good way, but I'm not sure. It puts me in mind of the K-11 movie I saw and very much didn't like in the way it deals with an outlying subculture. The subculture this time is extreme body modification. Some are more extreme than others, but this is the subculture we're dealing with for now. I'm not sure how entrenched in the subculture the writers/directors, Jen and Sylvia Soska, are, but I would be interested to see a picture of them. Notably, I'm not interested enough to do a simple Google search. 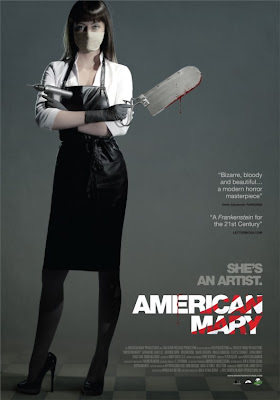 Mary, a medical student just a bit away from medical residency, gets embroiled in a criminal enterprise doing general doctoring for them. From there, she starts getting requests from people wanting more significant elective surgeries. Notably, there is a woman who is trying desperately to look like Betty Boop and her friend who wants to look like a mannequin (no, oddly not like a young Kim Cattrall).